A compliment...such a small, simple gesture, but it can make a world of difference to someone. 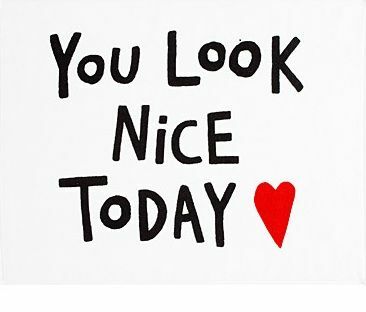 I challenge all of my readers to pay someone a compliment today, whatever it may be, and do so with full truth behind it. Paying a compliment to someone will truly bless their day. And in turn, it can also bless you, especially when said in truth. You never know people's circumstances and what they are going through. You never know when saying just one nice word out of love can change someone's day completely. And you never know just how much they might need to hear a compliment because they don't receive words of adoration from anyone else in their life. This world needs more love and compliments. So give one out today and genuinely mean it. I bet the reaction you receive will bless you as much as you blessed the other person. Please do this Southern girl a favor and keep the love going. I promise it will be worth it.